Southern Utah University (SUU) Rural Health Scholars student Agueda Rodriguez gained entrance to the University of Nevada, Las Vegas (UNLV) School of Medicine and was awarded a full tuition scholarship. This is rare in itself, but even more impressive was the fact that she was also offered a 75% scholarship to Oakland University William Beaumont School of Medicine (OUWB). As one can imagine, it was very tough decision for Agueda to choose which school to attend and after weighing her options, Agueda chose to attend OUBW. Agueda Rodriguez was born and raised in Las Vegas, Nevada, and is the first in her family to attend college. Agueda first found her love for medicine as a taekwondo athlete, and further developed a love for healthcare and helping others, her first year at SUU, when her mother was diagnosed with ovarian cancer. Agueda says, “Seeing my mom so fragile after being in surgery for hours, was a turning point for me, as I knew that I had to be part of the battle against cancer.” She knew she wanted to dedicate her life to helping others in a way that she can be active in research and patient interaction. While attending SUU Agueda participated in three major research projects and was given the opportunity to be a Bioinformatics intern at Auburn University in Alabama. She also volunteered at Intermountain Healthcare’s Cedar City Hospital, was an assistant soccer coach and taught taekwondo to underserved communities in Las Vegas. 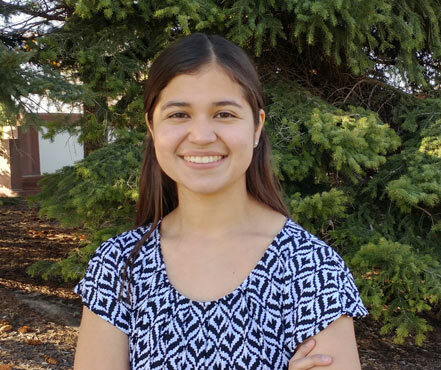 Agueda cites fantastic mentors while attending SUU, including Dr. Samuel Wells, who gave her the opportunity to be his teaching assistant and conduct her first research project. She also indicates that Dr. Roger Gold and Dr. Brandon Wiggins both donated so much of their time to help her gain valuable research experience and overall knowledge in microbiology and physics. Lastly, Agueda thanks Dr. Johnny MacLean, who provided her much encouragement and support through all her educational endeavors. Agueda was a member of the SUU Rural Health Scholars Program, which provides additional services for students interested in careers in health care. This program is available at Southern Utah University, Dixie State University, Snow College, and Utah State University-Eastern in Price. Services assist students in becoming successful applicants to medical, nursing, podiatry, dental, pharmacy, and other health professions programs. Student applications are strengthened through a regimen of classes, seminars, community service, job shadowing, research and advisement. For more information about the Utah Center for Rural Health programs, contact Casey Lavoie at 435-865-8661 or visit the SUU Rural Health Scholars website..